van der Waals radii are established from contact distances between non-bonding atoms in touching molecules or atoms. 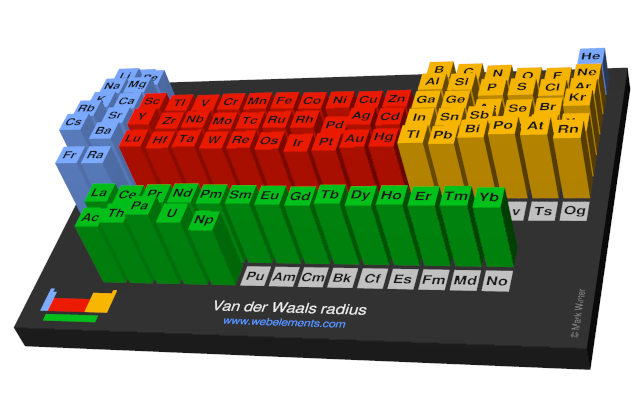 Image showing periodicity of the chemical elements for van der Waals radius in a periodic table cityscape style. 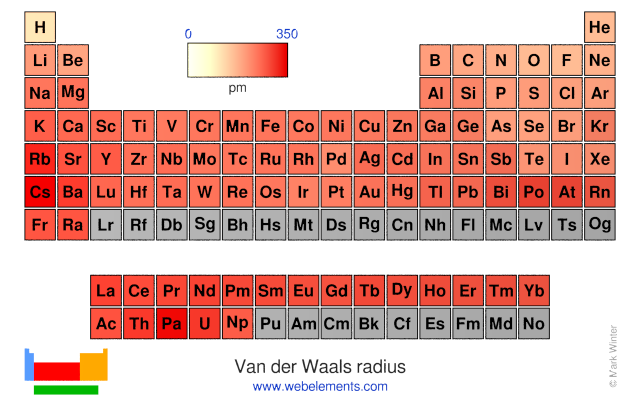 Image showing periodicity of the chemical elements for van der Waals radius in a periodic table heatscape style. 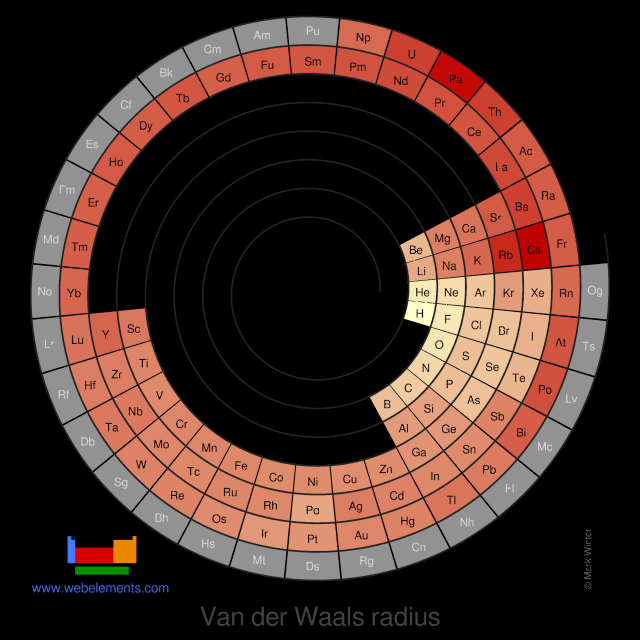 Image showing periodicity of the chemical elements for van der Waals radius in a spiral periodic table heatscape style. 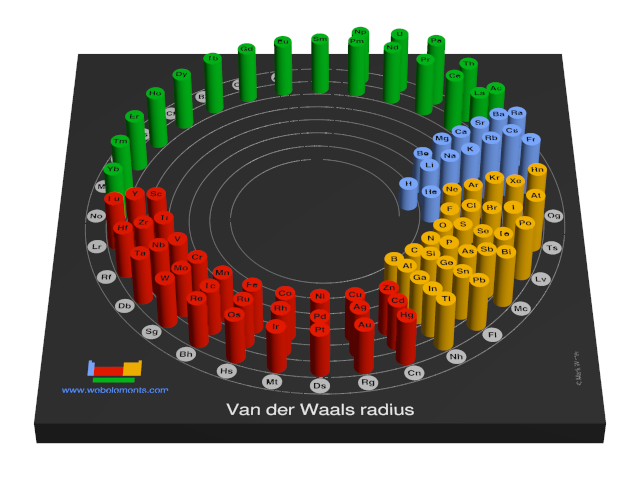 Image showing periodicity of the chemical elements for van der Waals radius in a 3D spiral periodic table column style. Image showing periodicity of the chemical elements for van der Waals radius in a 3D periodic table column style. Van der Waals radii may be established from neighbour-neighbour interactions in crystals and from gas critical volumes. Values from tables in different sources differ. Those quoted in WebElements are taken from reference 1 while other marginally different compilations are located in references 2-5. Users of the Chemical Database Service (CDS) at Daresbury who make use of the Cambridge Structural Database System will also find these values reproduced in the "Getting Started" user manual. S. Avarez, , 2013, 42, 8617-8636.